A lightweight full-zip jacket that perfectly balances style and function, the Momentum Long Sleeve Zip is a go-to choice for far-flung travels, active adventures and the down time that follows. 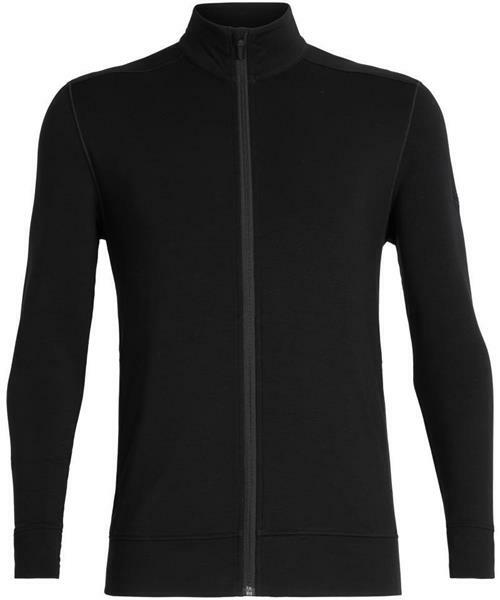 The Momentum features Icebreaker's 260gm terry Cool-Lite™ fabric, which blends soft, breathable merino wool with natural Tencel®, nylon and a touch of Lycra® for an optimal blend of active stretch, moisture management and quick-drying performance. A zippered nylon chest pocket and two zippered hand pockets secure all your small essentials.